Qosina offers a wide selection of multi-purpose, single-use hand instruments that are suitable for use in many diverse applications, across multiple industries. 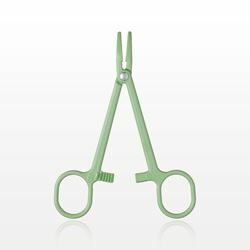 Qosina part #16611 is a pair of locking forceps with round tips, perfect for holding sponges, gauze and towels. Made from high-temperature nylon, these blue 7.5-inch (191 mm) forceps are sold bulk, non-sterile and are equipped with an aluminum rivet. Our single-use tools are constructed of high-quality materials designed to perform under the toughest conditions. Qosina offers a wide selection of multi-purpose, single-use hand instruments that are suitable for use in many diverse applications, across multiple industries. Qosina part #16612 is a pair of locking forceps with round tips, perfect for holding sponges and towels. Made from high-temperature nylon, these blue 9.5-inch (241 mm) forceps are sold bulk, non-sterile and are equipped with an aluminum rivet. Our single-use tools are constructed of high-quality materials designed to perform under the toughest conditions. Qosina offers a wide selection of multi-purpose, single-use hand instruments that are suitable for use in many diverse applications, across multiple industries. Qosina part #16605 is a pair of locking forceps, perfect for gripping. Made from high-temperature nylon, these green 4-inch (102 mm) forceps are sold bulk, non-sterile and are equipped with an aluminum rivet. Our single-use tools are constructed of high-quality materials designed to perform under the toughest conditions. Qosina offers a wide selection of multi-purpose, single-use hand instruments that are suitable for use in many diverse applications, across multiple industries. 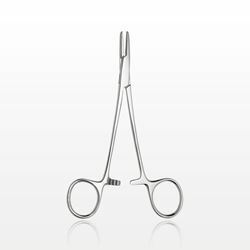 Qosina part #16609 is a pair of locking forceps with round tips, perfect for holding sponges, gauze and towels. Made from high-temperature nylon, these green 9.5-inch (241 mm) forceps are sold bulk, non-sterile and are equipped with an aluminum rivet. Our single-use tools are constructed of high-quality materials designed to perform under the toughest conditions. Qosina offers a wide selection of multi-purpose, single-use hand instruments that are suitable for use in many diverse applications, across multiple industries. Qosina part #16079 is a pair of adson forceps that are serrated with a mirror finish. Made from stainless steel, these disposable forceps are 4.75 inches in length (121 mm) and are sold bulk, non-sterile. Our single-use tools are constructed of high-quality materials designed to perform under the toughest conditions. Qosina offers a wide selection of multi-purpose, single-use hand instruments that are suitable for use in many diverse applications, across multiple industries. Qosina part #16081 is a straight baumgartner needle holder with a mirror finish. Made from stainless steel, these disposable forceps are 5.5 inches in length (140 mm) and have serrated tips that are ideal for applications that require a firm grip on needles and dense suture materials. Our single-use tools are constructed of high-quality materials designed to perform under the toughest conditions and are sold bulk, non-sterile. Qosina offers a wide selection of multi-purpose, single-use hand instruments that are suitable for use in many diverse applications, across multiple industries. 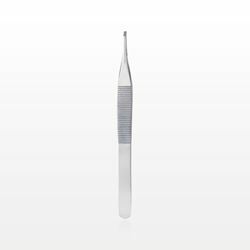 Qosina part #16078 is a pair of forceps that feature a straight iris style tip with 1 x 2 teeth. Made from stainless steel, these disposable forceps are 4 inches in length (102 mm) with a mirror finish, and are sold bulk, non-sterile. Our single-use tools are constructed of high-quality materials designed to perform under the toughest conditions. Qosina offers a wide selection of multi-purpose, single-use hand instruments that are suitable for use in many diverse applications, across multiple industries. 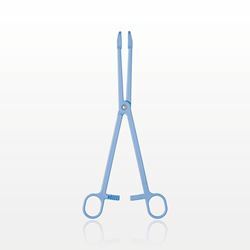 Qosina part #15001 is a pair of blue forceps that feature flat, pointed tips. Made from polypropylene, these disposable forceps are 5 inches in length (127 mm) and are sold bulk, non-sterile. Our single-use tools are constructed of high-quality materials designed to perform under the toughest conditions. Qosina offers a wide selection of multi-purpose, single-use hand instruments that are suitable for use in many diverse applications, across multiple industries. 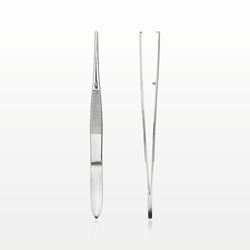 Qosina part #15004 is a pair of black forceps that feature flat, pointed tips. Made from polypropylene, these disposable forceps are 5 inches in length (127 mm) and are sold bulk, non-sterile. Our single-use tools are constructed of high-quality materials designed to perform under the toughest conditions. Qosina offers a wide selection of multi-purpose, single-use hand instruments that are suitable for use in many diverse applications, across multiple industries. 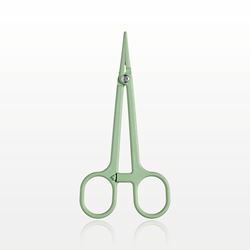 Qosina part #15003 is a pair of green forceps that feature flat, pointed tips. 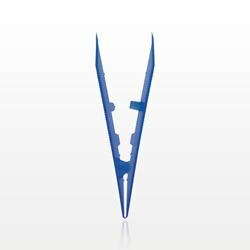 Made from polypropylene, these disposable forceps are 5 inches in length (127 mm) and are sold bulk, non-sterile. Our single-use tools are constructed of high-quality materials designed to perform under the toughest conditions. Qosina offers a wide selection of multi-purpose, single-use hand instruments that are suitable for use in many diverse applications, across multiple industries. 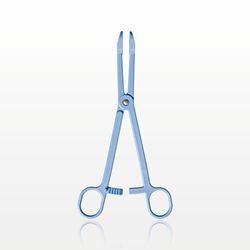 Qosina part #15002 is a pair of light blue forceps that feature flat, pointed tips. Made from polypropylene, these disposable forceps are 5 inches in length (127 mm) and are sold bulk, non-sterile. Our single-use tools are constructed of high-quality materials designed to perform under the toughest conditions. Qosina offers a wide selection of multi-purpose, single-use hand instruments that are suitable for use in many diverse applications, across multiple industries. 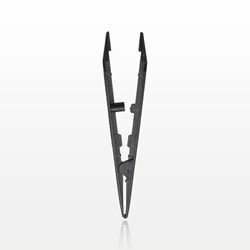 Qosina part #16009 is a pair of black forceps that feature flat, rounded tips. These disposable forceps are ideal for applications that involve the transferring of cotton towels and gauze. Made from polypropylene, these forceps are 5 inches in length (127 mm) and are sold bulk, non-sterile. Our single-use tools are constructed of high-quality materials designed to perform under the toughest conditions. Qosina offers a wide selection of multi-purpose, single-use hand instruments that are suitable for use in many diverse applications, across multiple industries. Qosina part #16005 is a pair of dark blue forceps that feature flat, rounded tips. These disposable forceps are ideal for applications that involve the transferring of cotton towels and gauze. Made from polypropylene, these forceps are 5 inches in length (127 mm) and are sold bulk, non-sterile. Our single-use tools are constructed of high-quality materials designed to perform under the toughest conditions. Qosina offers a wide selection of multi-purpose, single-use hand instruments that are suitable for use in many diverse applications, across multiple industries. 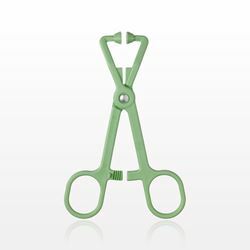 Qosina part #16007 is a pair of green forceps that feature flat, rounded tips. These disposable forceps are ideal for applications that involve the transferring of cotton towels and gauze. Made from polypropylene, these forceps are 5 inches in length (127 mm) and are sold bulk, non-sterile. Our single-use tools are constructed of high-quality materials designed to perform under the toughest conditions. Qosina offers a wide selection of multi-purpose, single-use hand instruments that are suitable for use in many diverse applications, across multiple industries. 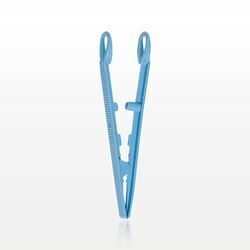 Qosina part #16006 is a pair of light blue forceps that feature flat, rounded tips. These disposable forceps are ideal for applications that involve the transferring of cotton towels and gauze. Made from polypropylene, these forceps are 5 inches in length (127 mm) and are sold bulk, non-sterile. Our single-use tools are constructed of high-quality materials designed to perform under the toughest conditions. Qosina offers a wide selection of multi-purpose, single-use hand instruments that are suitable for use in many diverse applications, across multiple industries. 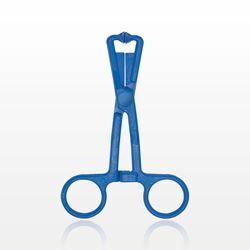 Qosina part #15501 is a pair of dark blue forceps that feature flat, square tips. 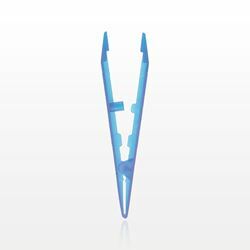 Made from polypropylene, these disposable forceps are 5 inches in length (127 mm) and are sold bulk, non-sterile. Our single-use tools are constructed of high-quality materials designed to perform under the toughest conditions. Qosina offers a wide selection of multi-purpose, single-use hand instruments that are suitable for use in many diverse applications, across multiple industries. 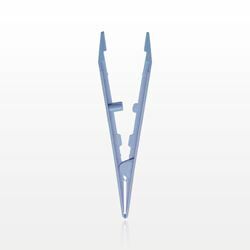 Qosina part #15502 is a pair of light blue forceps that feature flat, square tips. Made from polypropylene, these disposable forceps are 5 inches in length (127 mm) and are sold bulk, non-sterile. Our single-use tools are constructed of high-quality materials designed to perform under the toughest conditions. Qosina offers a wide selection of multi-purpose, single-use hand instruments that are suitable for use in many diverse applications, across multiple industries. Qosina part #16106 is a pair of blue forceps that feature wide, flat tips to firmly grasp gauze, towels and drapes. Made from nylon, these disposable forceps are 5 inches in length (127 mm) and are sold bulk, non-sterile. Our single-use tools are constructed of high-quality materials designed to perform under the toughest conditions.